For 2 ½ months now, I’ve been writing in this blog about my belief that the answers to most of our questions and issues aren’t at either extreme but, rather, somewhere in the middle. I know there are other voices out there who feel the same, but because harmony and compromise don’t sell air time or newspapers or magazines, these are not the voices that are replayed in the media. I’m humbled. Four parents spoke at this event, and parents of eleven of the children were present. One spoke of how she sent two children to school that morning but only one came home. Another spoke of waiting for her son to come crawl in her bed and cuddle. As I watched them, I wondered at their strength and thought that, if I were in their position, I’d probably still be in my bed with the covers pulled over my head, hoping that I’d wake up and find it was all a bad dream. Though this story ran on the evening news, when I looked for more details, I found it nowhere on the front page of the Washington Post online. Stories about the debt ceiling, check. Stories of Lance Armstrong (and is anyone really surprised? ), check. Stories of the Golden Globe Awards, check. And even a story about Supreme Court Justice Clarence Thomas saying something during oral arguments for the first time in seven years—something that no one heard, followed by endless speculation about what he might have said. But despite the minimal media coverage of the Sandy Hook Promise, these parents steeled themselves to speak in spite of their pain. They felt it was important to say that some were not gun owners but that others were—and that those who were gun owners were not afraid to talk about making changes in gun laws. I keep thinking about what my daughter was like in kindergarten and first grade—about how I missed taking her for her first day of school because I was a teacher. I have only pictures to remind me of that day. 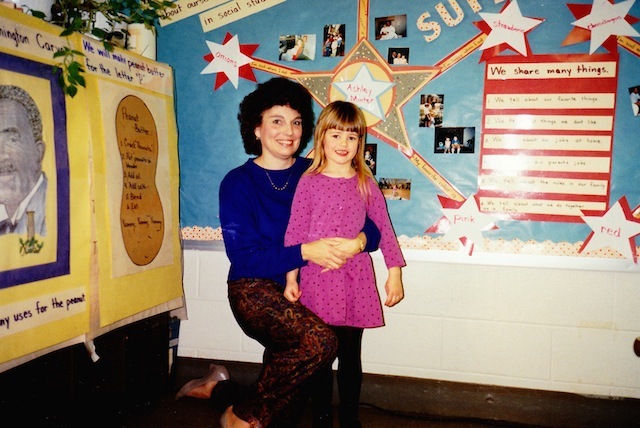 So I took the day off when it was her turn for her Superstar day, the day her kindergarten teacher honored her, as she did each child in the class, with a bulletin board and a week in which she was the special child in the room. And I do have her—a vibrant 26-year-old who makes me proud every day to be called her mom. I continue to ache for these parents, whose children are forever frozen for them at that moment in their lives a month ago today. I pray that these eleven parents—and the others who were not at today’s event—get what they are asking because they deserve that and more for their courage today. And I hope for all of us. There are small movements—people who are speaking up in favor of conversation and compromise. And if these parents can speak from hearts full of pain, we owe it to them to forward their cause. What can I do? What can you do? What can we do together? Let’s imagine. Previous PostChange the Team Name?Next PostFeeling Safe?